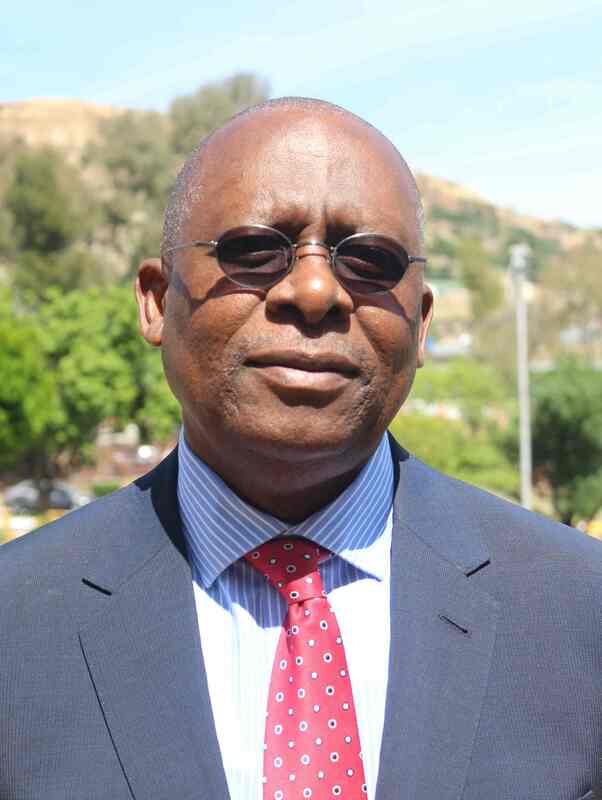 Mr. Tseko Alfonse Bohloa is the Chairman of the National University of Lesotho’s 13th Council. He holds a Bachelor of Arts (BA) degree from the National University of Lesotho. He qualified as a Chartered Accountant in 1987 and in the same year he was admitted as Fellow Chartered Accountant at Lesotho Institute of Accountants. He is presently the Executive Director of TABFIN Financial Services. He possesses executive management experience having served as a Financial Controller for various parastatals, Treasury Manager and later Assistant to Chief Executive for the Lesotho Highlands Development Project. He served in the position of Director of Finance, for a period of 1 year, with the Lesotho Telecommunications Corporation. Mr Bohloa was also appointed as a Caretaker Chief Executive Officer of the Lesotho National Development Corporation. From 1977 to 1982, he was a lecturer in Accounting and Finance at the then Lesotho Institute of Public Administration. He was also a Management Accountant for Coop Lesotho Ltd and later Financial Controller. Mr Bohloa grew up the ranks of the Lesotho Highlands Development Authority from the Deputy Capital Finance Manager to an Assistant to the LHDA Chief Executive. He was appointed as the Director of Finance at Lesotho Telecommunications Corporation. For a period of 1 year, Mr. Bohloa was appointed as a Caretaker Chief Executive Officer of the Lesotho National Development Corporation to spearhead its transformation and stabilization of the parastatal. Besides positions held in formal employment, Mr Bohloa also served as Chairman of the Board of the Lesotho Revenue Authority. He served a full term on the Board of the Lesotho Tourist Development Corporation, while on the other hand the chairperson of the Finance and Audit Committee. He served as a member of the Board of the Lesotho National Development Corporation and Chairman of its Audit and Risk Management Committee (ARM). He currently serves on the Board of Directors as an Independent Non-Executive Director of FNB (First National Bank) Lesotho, where he is also Chairman of the Rick, Capital and Compliance Committee, and a member of the Audit and Remuneration Committees. He served for ten years as a Member of the Board of Governors of the Machabeng International College, in which for a later period of 2 years he served as the Chairperson of the Board. He was a Member of the Board of the Lesotho Freight and Bus Services Corporation, and also Chairperson of its Finance and Audit Committee. He was Deputy Chairman of the Council and acted as Chairman of Council for the Lerotholi Polytechnic. He is currently a member of the Board of the Lesotho Subsidiary of Pearson International Publishing Company (formerly Longmans Publishing), headquartered in Cape Town. He completed a 4-year tenure of office as the Chairman of the Parish Council for the Mazenod Roman Catholic congregation. Mr. Bohloa is the father of 3 grown up children and grandchildren.